When are you at your most productive? 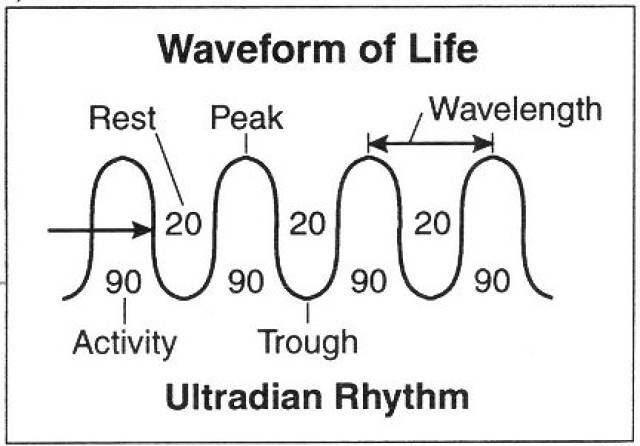 For maximum productivity, work in 90 minute cycles with a 20 minute rest period in between. We have a basic rest/ activity cycle which is to work for 90 minutes (peak at 45) then rest for 20 minutes before starting again. Professor Nathaniel Kleitman, Professor Emeritus in Physiology at the University of Chicago discovered this while researching sleep patterns. Plug this into your time management strategy. Unplug yourself from everything and work on important (not urgent) tasks for 90 minutes. After a 20 minute break check your messages, emails etc and deal with those for 90 minutes. The more you concentrate on dealing with important tasks before they become urgent, the more in control and satisfied you’ll be with your work! Like this post? Make sure you don’t miss the next one — sign up here to stay connected.